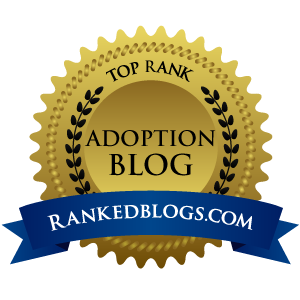 This entry was posted on Wednesday, July 12th, 2017 at 9:02 pm	and tagged with adoption, Adoption and Diversity, Adoption Blogs, African American Adoption, african american adoptive families, Black Adoption, Black Voices, Diversity and posted in Finalization Life, Hard Stuff, Race. You can follow any responses to this entry through the RSS 2.0 feed. That’s completely effed up!!! I imagine it must be hard for Hope to discuss her adoption just to have people not believe her! That’s totally screwed up! I completely identified with your post. There are days I wish there were other black adoptive parents I could talk to. Oh ABM I’m so sorry for both of you. It’s not right. I actually have been feeling and seeing this quite a bit. People ask me if my children were\are relatives. I have to remind people several times that they are not my relatives’ children. They are always shocked. I am trying to reconcile to the possibility that meany people that black people take care of their own or family member would step in and help out. It’s just not an untrue narrative, but it is a hurtful narrative that impacts the number of black children who get adopted by black children. I just realized how crazy my above post reads. I didn’t proofread because I was so excited about the topic. Sorry readers! when our older daughter was a kid, she would tell her friends (who were all black like her) that she was adopted. We were surprised how many of the friends then told her they were adopted too. She has at least 4 black friends who were adopted by black families but they never told her until she “came out” to them first. 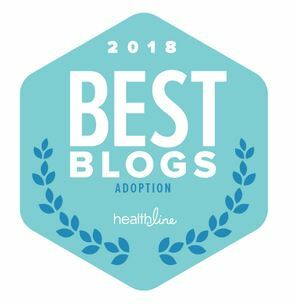 I wonder if part of the invisibility is caused by stigma around adoption, and kids who look like they match their families are less likely to be open about being adopted? I feel like the adoption community needs more critical mass in a lot of places! I’m in a weird place because I’m Asian, but adopted by white parents. I’ve had the advantage of white privilege but have also been the subject of awkward racial conversations, prejudices, and discriminations. Plus we have 6 kids who are all non-white–2 AmerAsian, 1 Korean, 3 Ethiopians. I know a handful of other black adoptive families. I’d love to start connecting you all. Maybe you could find that critical mass! Are on FB? I’m in an AFAm adoptive families group–one of the few online safe spaces.